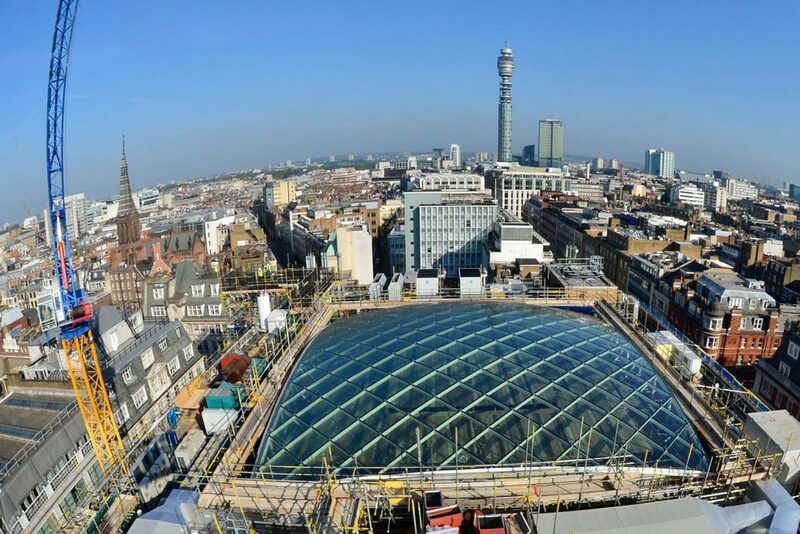 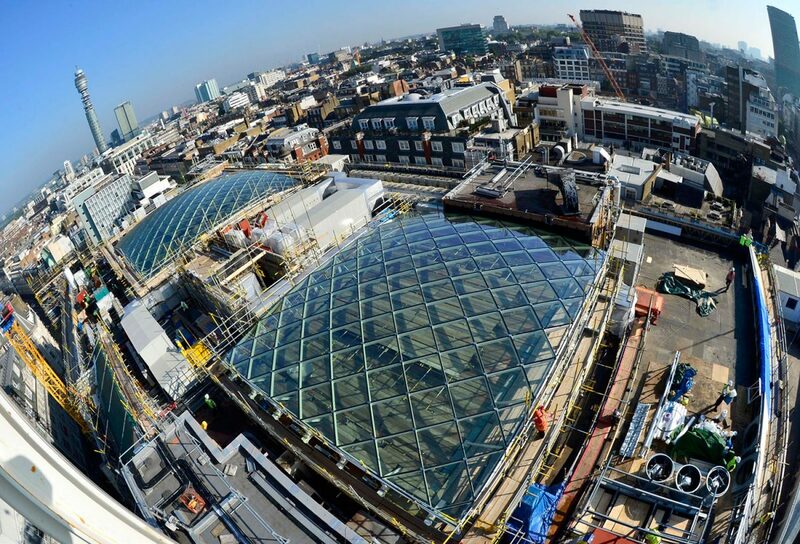 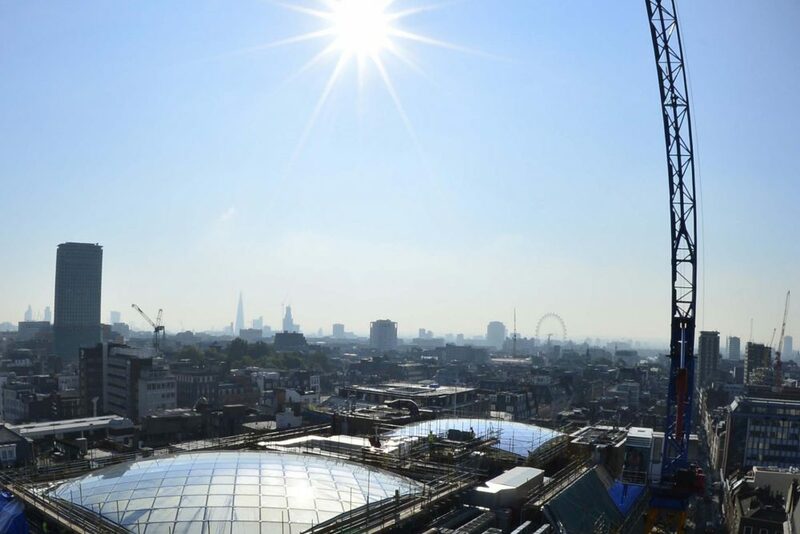 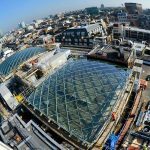 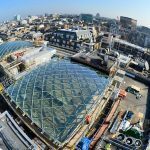 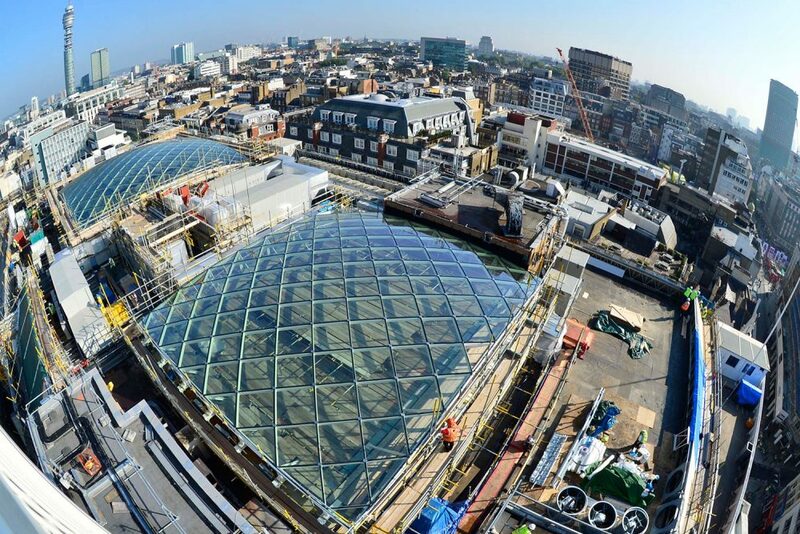 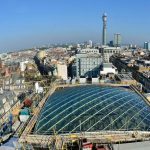 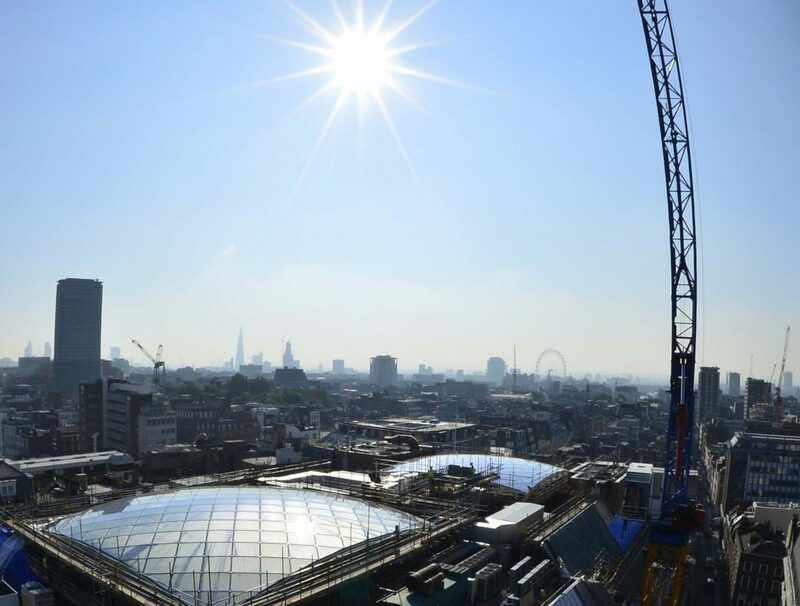 Our flagship Gridshell rooflight project in the heart of London. 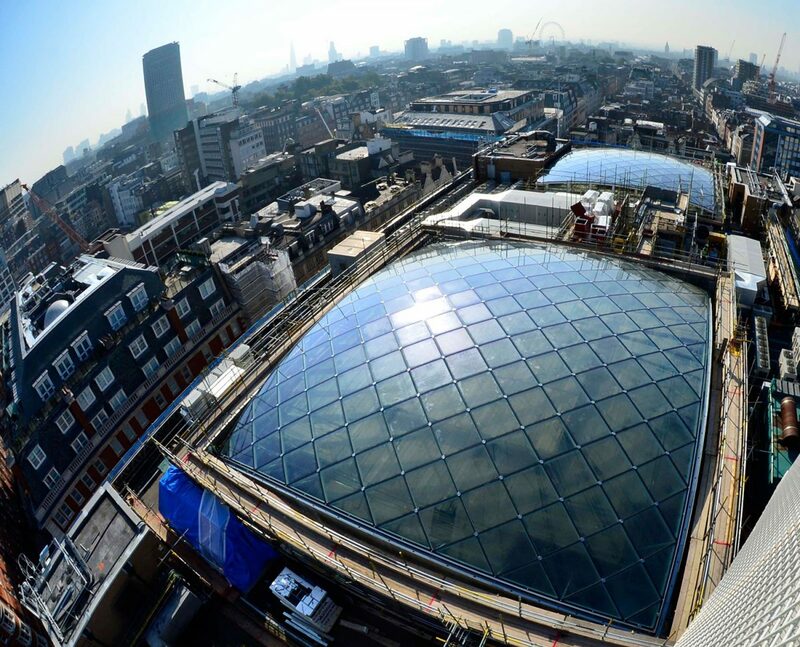 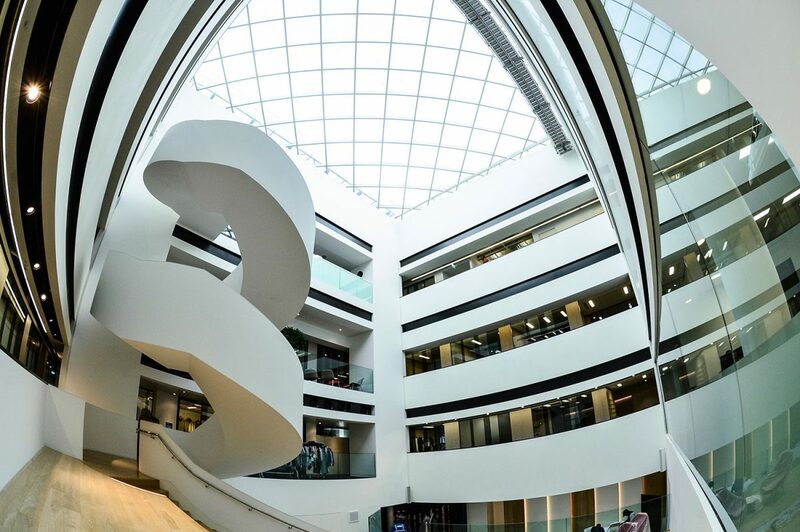 We recently designed and installed these incredible Gridshell rooflights at the Arcadia Group Headquarters in Oxford Street. 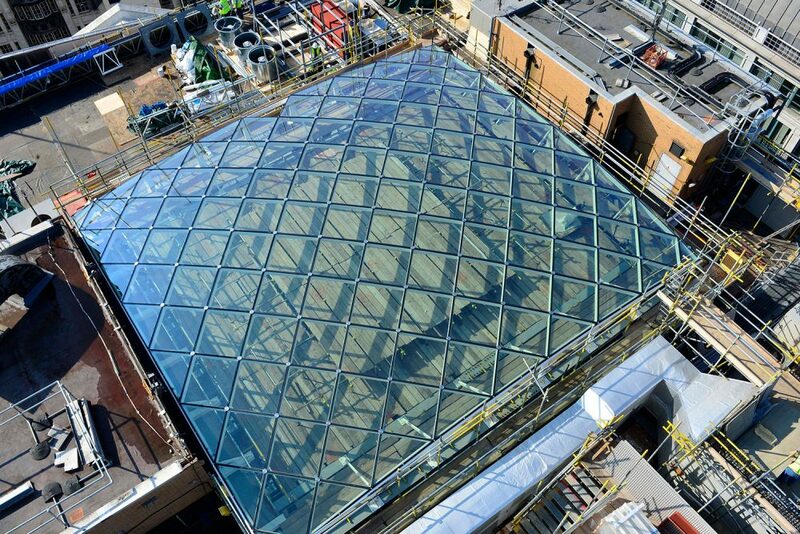 Our Gridshell system is a revolutionary rooflight that brings together elegant curves and pin-sharp angles in beautiful symmetry. 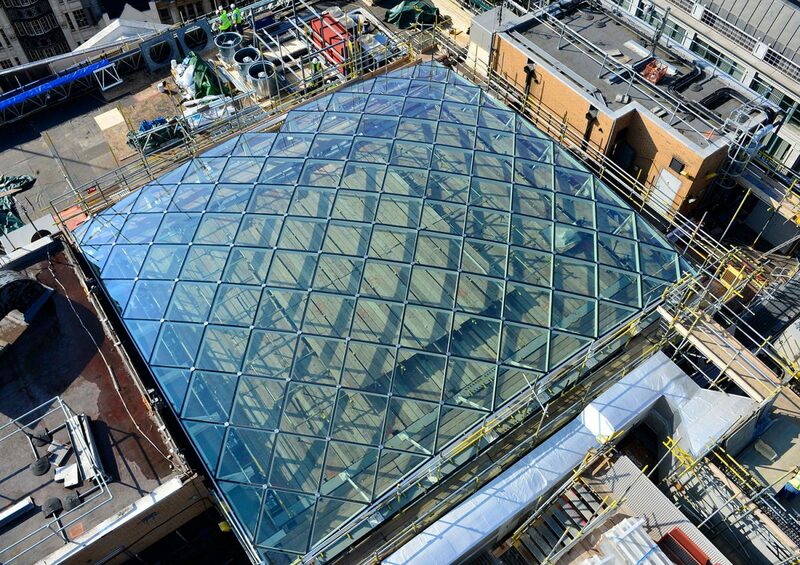 In 2016 a major refurbishment of the existing building by Sheppard Robinson Architects was undertaken and they approached us to devise a roofing solution to cover two existing courtyards and create covered atria. 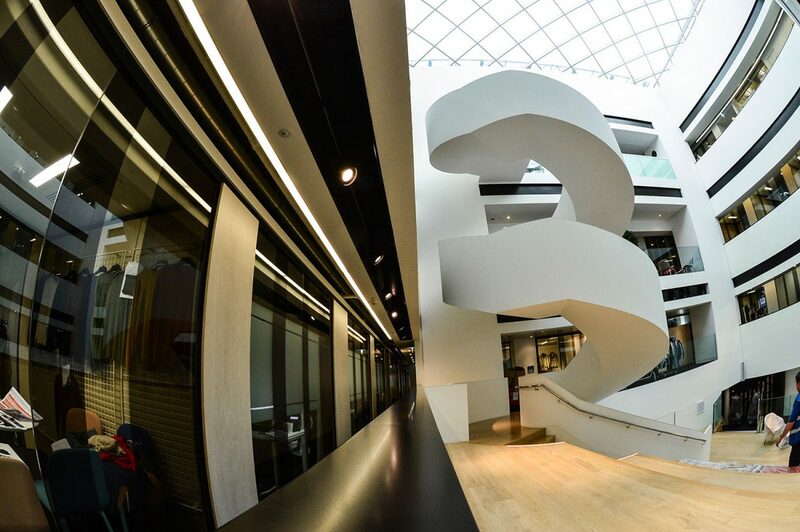 To use innovative design to create a modern, light and open space. 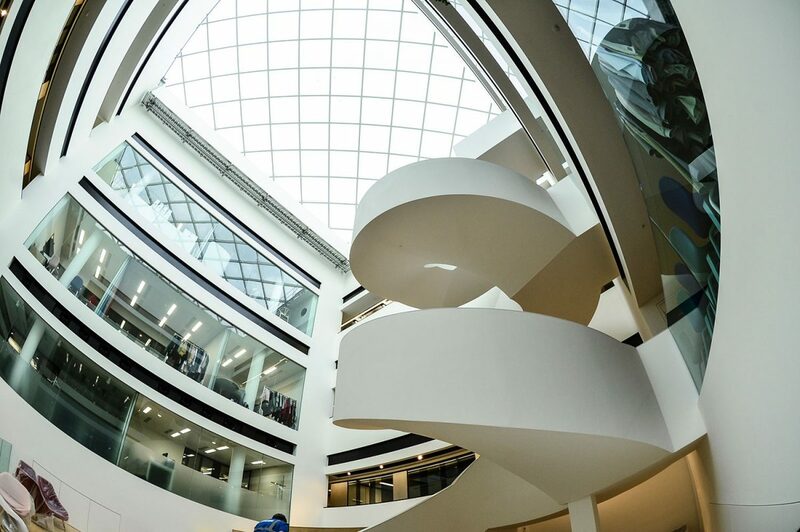 To create a feature which would also transform and enhance this area of the building. 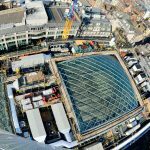 Our team researched, developed and engineered these two Gridshell rooflights to meet the design brief and exceed the clients expectations. 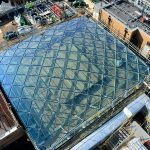 These premium structure are made up of lengths of steel support following gentle curves with panels of glass sitting on the diamond shape grid created by the supports. 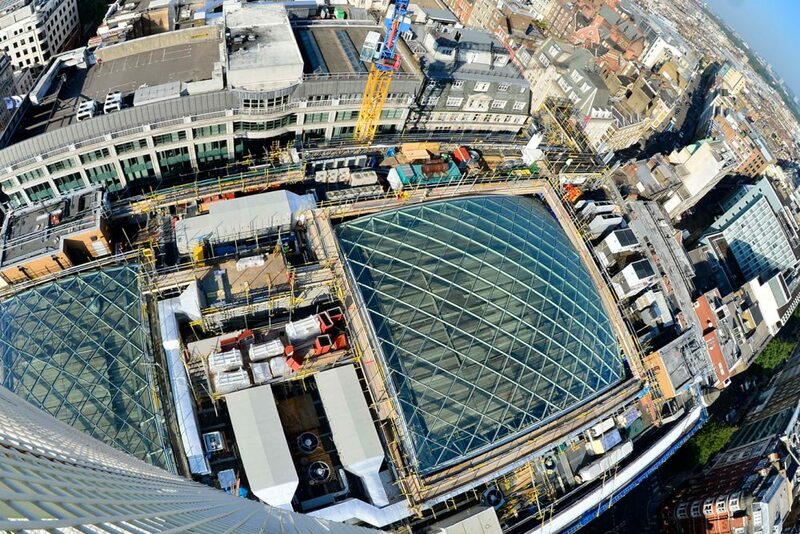 They add an incredible focal point to the buildings structure and because of the nature of the construction, it is incredibly strong. 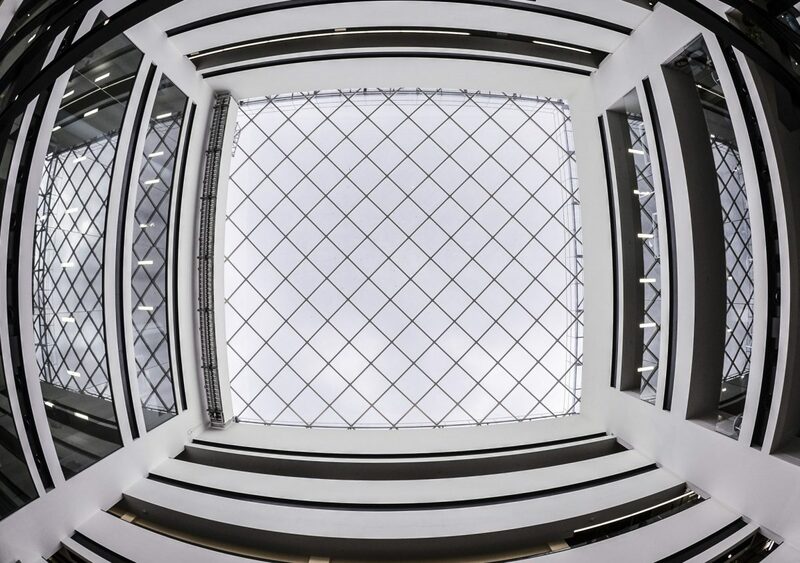 These atria are an architectural feature that will be a talking point for years to come.